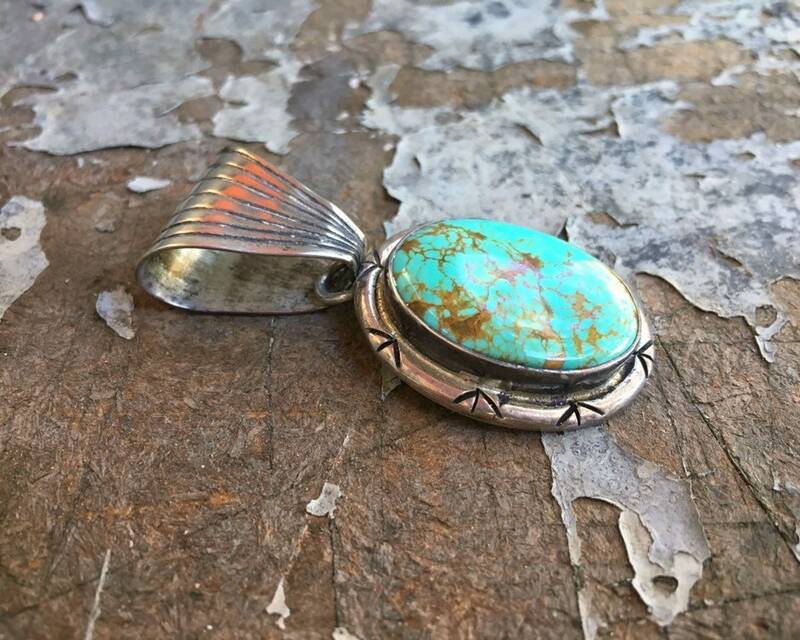 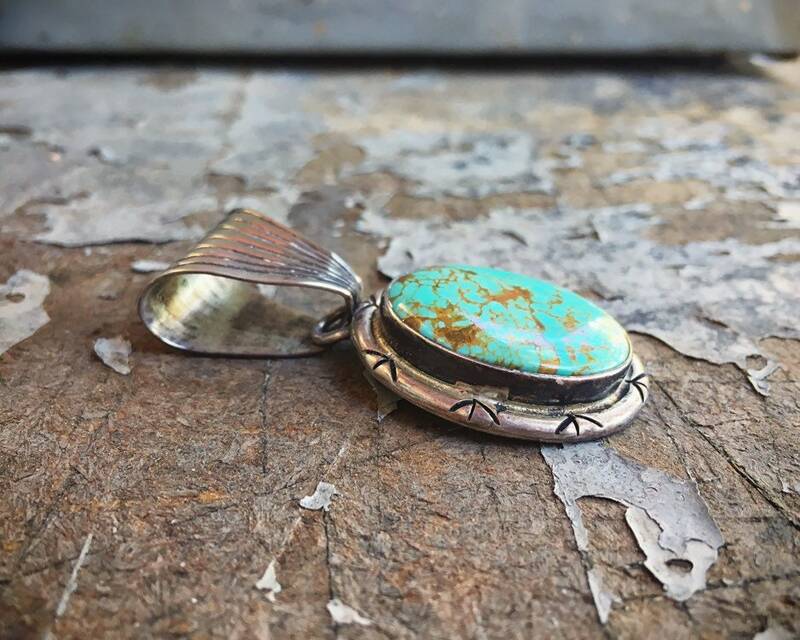 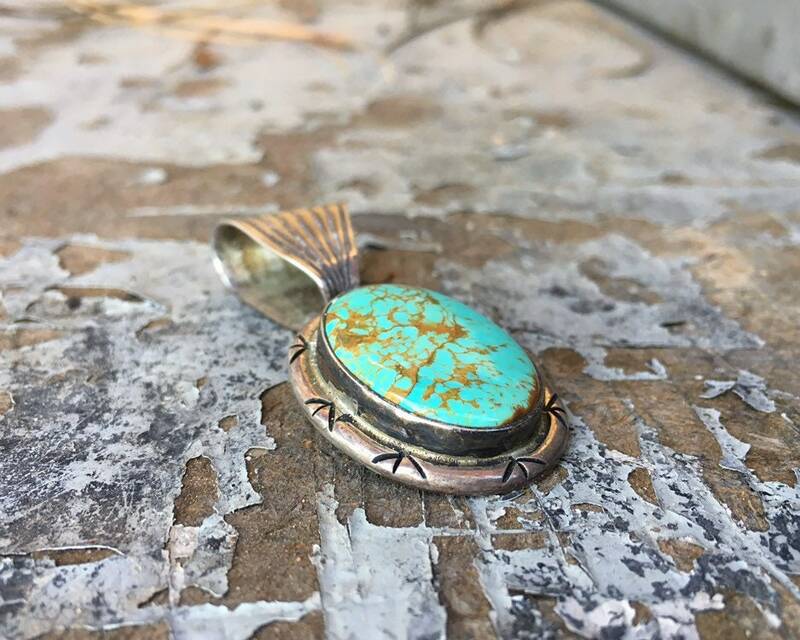 The pendant is 1" wide by 2" tall including that large bail, and the turquoise cabochon is just under 7/8" wide by 1" long. 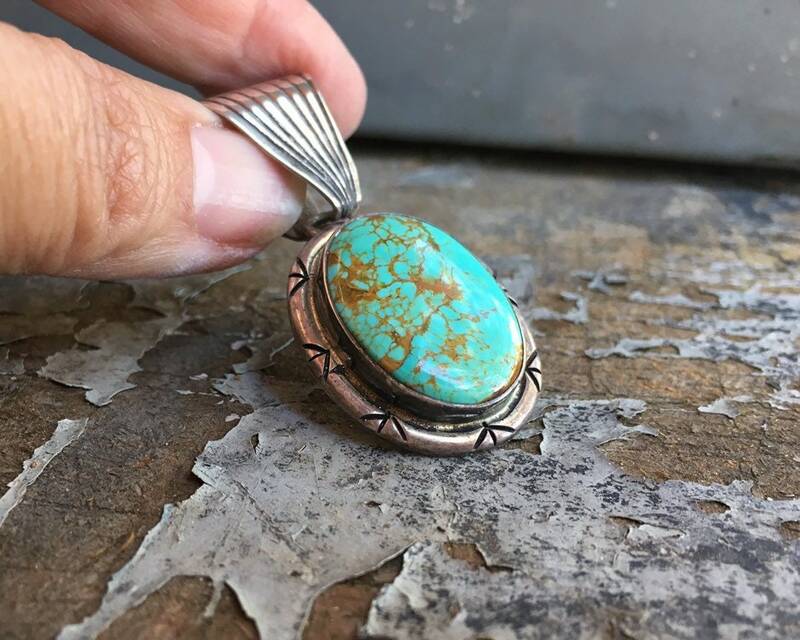 the silver had quite a bit of tarnish, more than I consider "patina," and so I've lightly polished it leaving some of that dark oxidation in the crevices of the bail and stamping around the bezel. 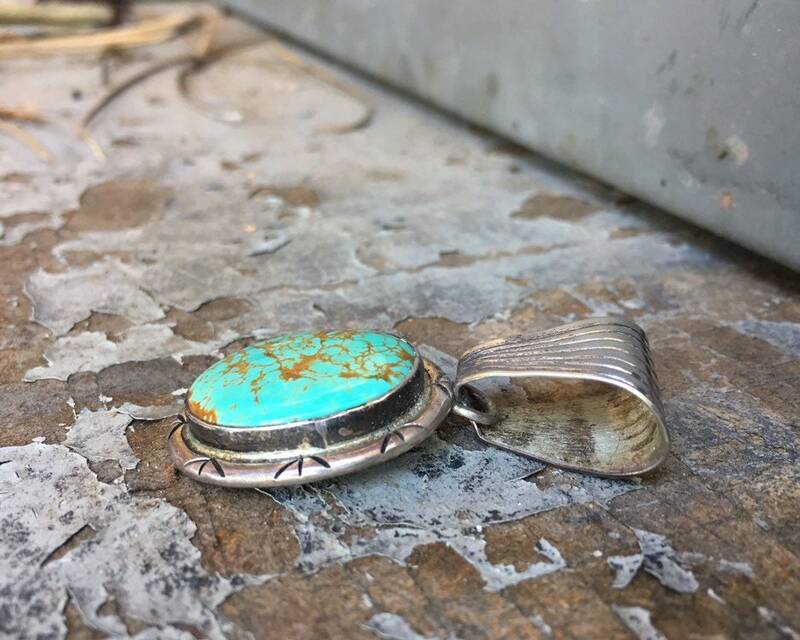 This brings depth to the piece. 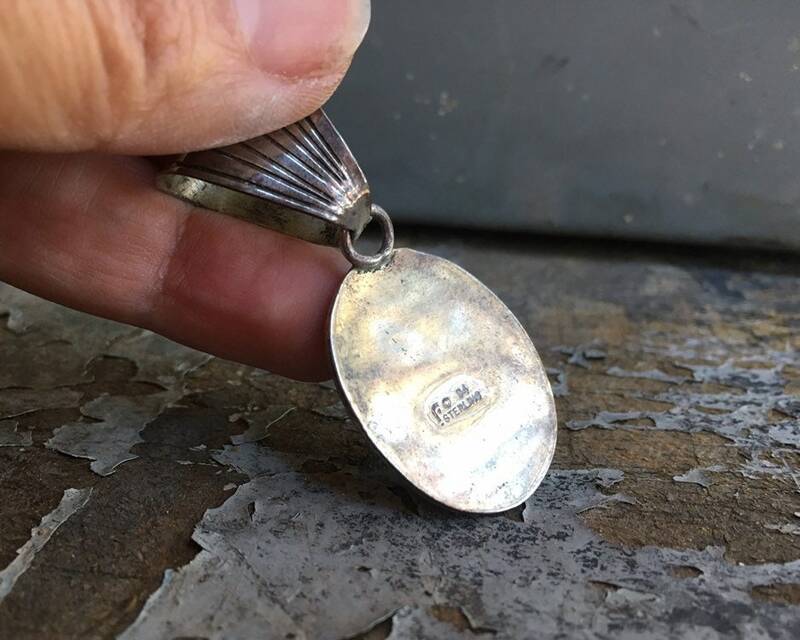 Some small scratches on the silver but otherwise in good condition. 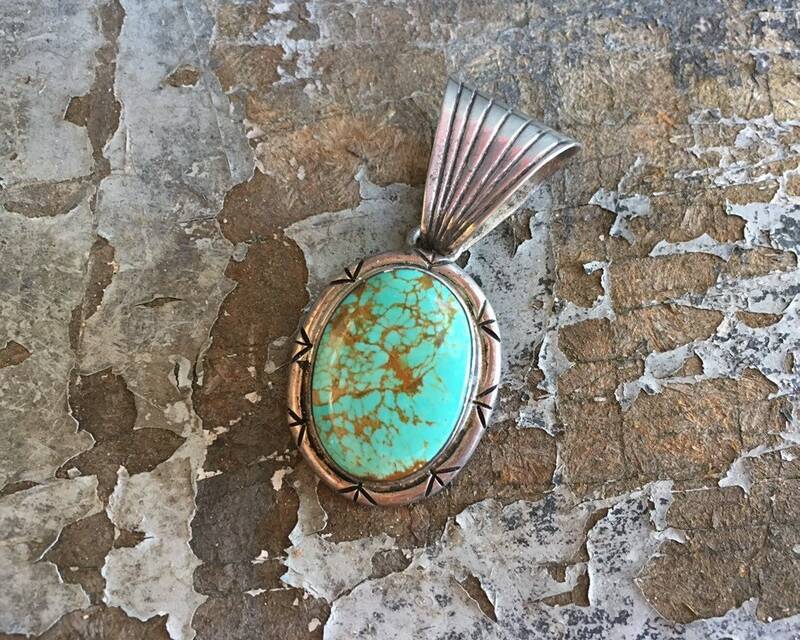 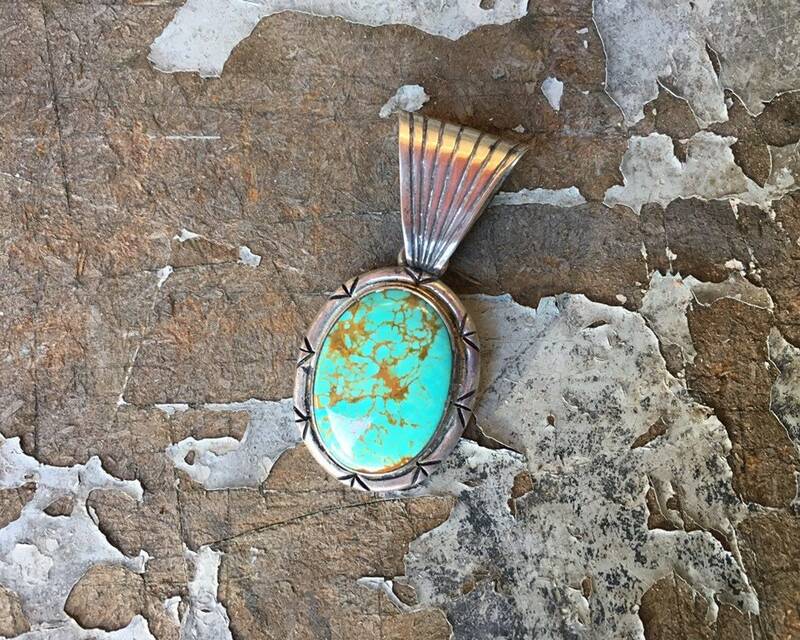 A striking design, all the better to highlight a gorgeous piece of turquoise.